In golf, the sports talking heads and former player analysts often label a promising pro as "the best to never win a major." As in best to never win the sport's biggest titles - the Majors - that include the Masters, the U.S. Open, the British Open, and the PGA Championship. Phil Mickelson once wore that label. Ditto for Bubba Watson. And until recently, so did Adam Scott. Believe it or not, bass fishing has its own version of that statement, as in best to never win a Bassmaster Classic, best to never win a Forest Wood Cup, and best to never win a B.A.S.S. or FLW Angler of the Year title. Not to mention best to never win a Jack Link’s Major League Fishing championship. With a win on blustery Lake Istokpoga, one of the most successful professional bass anglers of modern times - Oklahoma's Edwin Evers - could find his way to resume redemption and shed once and for all the fishing version of "best to never win a major." Such are the stakes during the Championship Round of the Jack Link’s Major League Fishing 2013 GEICO Challenge Cup just outside of Lake Placid as Hurricane Sandy begins to pull away after several days of battering Florida. Good riddance says Evers as he takes aim at the MLF crown. "It has been brutal," said Evers in a half-hearted chuckle before the morning's take-off. "There's no doubt about it, it doesn't get any worse as far as wind conditions on a Florida lake. "People talk about wind and if you're on Table Rock, it's what you want. But here, it's just so shallow and if you have this much wind, it just stirs up all of the bottom sediment. And it really makes for tough fishing." Especially during Sudden Death Day Two when Evers became one of three anglers to advance to the championship despite the passage of Sandy just off of Florida's Atlantic coastline. While the day featured a mixture of wind and sun, it also featured numerous outer bands that would rotate through with blinding rain, howling winds of more than 40 mph, and crashing waves that forced some anglers to fish from their knees as Sandy pounded Istokpoga. Somehow, Evers found a way through and now stands poised for his career's biggest triumph. "It might not have been the toughest (day) ever (that I've fished), but it was definitely right on up there," said Evers. And that's just the physical conditions that Evers endured as the nearby hurricane made her presence widely known. That's to say nothing of the mental anguish of being in a tight race in the third period on a tough fishing day with all of his other MLF competitors making their casts virtually within sight of Evers bouncing boat. "Whew - man it was tight!," laughed Evers, known as Easy E, E2, and E-Squared to his many fans. "It was nerve wracking to say the least." Especially as one of Sandy's final bands pummeled the watery playing field as time began to slip through the hour glass on the day's competition. "It wasn't a fun experience sitting there on that boat (in the weather) as the period wound down," agreed Evers. "I would like to have had a few more pounds to have been a little bit more in command or to have had a (bigger) lead. "But I ended up making it (through) and we all go back to zero today and I'm tied for first (place) right now." Where Evers - a pro with seven B.A.S.S. wins, some $1.9 million in career earnings, 12 Bassmaster Classic appearances, and 52 Top-10 finishes in 172 events - hopes to be when the action on Istokpoga is all over. The 38-year-old pro is pleased that the wind swirling around the storm will finally be out of a different direction than the northeasterly breeze that has been around. As the counterclockwise winds swirl around Sandy's backside, the wind should be out of the northwest, theoretically giving anglers at least some hope for improving visibility in the water. 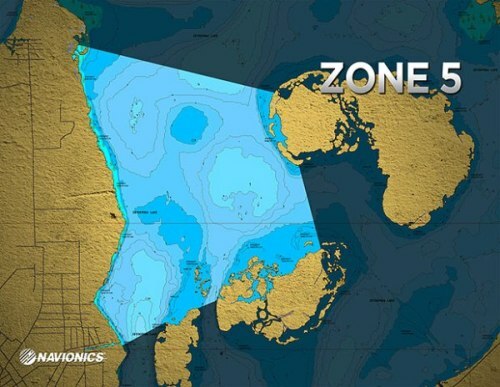 "It's the best possible wind for the zone we're in," said Evers. "By the end of the day, it should be blowing away from us and that should let the water start cleaning up and let us start catching some fish out there." Even so, Evers concedes that this will be as much of an ordeal - or even more so - as Sudden Death Day Two was. "It's just going to be an all-day grind today," he said. "You've just got to make the most of every bite." While others talk of strategy changes or technique adjustments, Evers plans to pretty much stay with the lures and techniques that have got him here, making adjustments only if patience and prudence demand he do so. Most of all, he promises himself that he'll remember no matter how tough it gets out there - even on the day after a hurricane - it's never over until it's really over on Florida waters. "(You've got to remember) that you're never out of it here," said Evers. "You could be 10 pounds behind with an hour to go but you can catch a 10-pounder here. They (monster fish) live here in great numbers, so any flip (I make) I'm telling myself 'Hey, you're one flip away from a 10-pounder.'" And with that fish, a triumph that would prove to be the biggest win of Evers already stellar fishing career. And the end of any dock-talk whispers that the Oklahoma bass pro is the sport's best out there on tour to never have won a major fishing championship.